Next Wednesday (September 9, 2015) the all-new 22nd season of The Ultimate Fighter (TUF) will debut on FOX Sports 1 with a potentially exciting United States vs. Europe format. But the real attraction is obviously the beef between opposing coaches Conor McGregor and Urijah Faber. 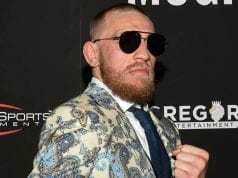 Conflict arose between the two prominent MMA stars at the weigh-ins for July’s UFC 189, and McGregor’s rivalry with Faber’s Team Alpha Male is already established after he beat Chad Mendes for the interim featherweight title in the summer blockbuster’s main event. Although McGregor’s words might be considered harsh, Dillashaw’s discord with Faber’s team, where he got his start and rose to prominence in MMA, is well documented nonetheless. ‘The Viper’ is one of a few TAM members who have chosen to continue training with former head coach Duane ‘Bang’ Ludwig at his new gym in his native Colorado, and while nothing has spilled into the media, the dynamic could undoubtedly cause some friction in the near future. Ludwig drew a large amount of heat for saying that there ‘weren’t any champions besides Dillashaw’ at the team, which incited a small riot amongst his former pupils. That lead Faber to call him a ‘bully,’ and it’s clear that their relationship is beyond fixing. 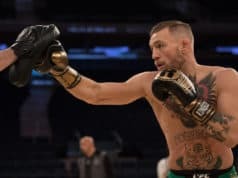 Like it or not, McGregor may have a good point in his suggestion that there are no ‘boys’ in the fight game, because a bantamweight title scrap between Faber and Dillashaw has been teased ever since ‘The Viper’ won the belt from former champion Renan Barao in a shocking upset at UFC 173. If Dillashaw continues to cede from the place where he got his start in fighting, then that bout could certainly be happen sooner than later, and in a division as shallow as 135 pounds, it’s the second biggest bout the UFC could book. And if it were to go down, it’d be difficult to argue with McGregor’s warnings here. Will the Irish megastar’s words come true in the form of a Dillashaw vs. Faber title tilt, or is the ‘Notorious’ just being paranoid for his TUF opposition? NEXT: Cage Fighting Kids: After School Activity Or Minor League Bloodsport?